DJI Mavic Air vs Mavic Pro vs Spark vs Phantom 4 Pro: Which Drone is Better? DJI Mavic Air vs Mavic Pro vs Spark vs Phantom 4 Pro: Which One to Buy? Hey guys how it is going I’m Andrew from djibestdrones.com. And in this post I’m going to compare DJI Mavic Air vs Pro vs Spark vs Phantom 4 Pro. If you’re just getting into drones or you’re thinking about buying your first drone the DJI Mavic Air is a pretty good bet. It’s a little bit cheaper than the Mavic Pro and the Phantom 4 and a little bit more expensive than the DJI Spark but it gets a lot better video than the DJI Spark does and I’ll show you a little bit of comparison between those drones and the new DJI Mavic Air. Read the Detailed DJI Mavic Air Review Here! First I will give you some honest opinion about this drone and I’m also going to talk about some pros and cons of it. Then I’, going to kind of compare it to the other DJI drones out there like the Mavic the Spark and the Phantom 4 Pro. “Which one should you get?” I think is the big question on most people’s minds and that’s why you’re reading this post is to figure out which one you should get. Well the first thing people asked me is “As a professional, which drone should I buy?”. They asked me that a lot and the first thing I asked them is “what do you want to do with i?”, “what do you want to do with your drone? Do you want to just take it on vacation for family stuff? Do you want to do it just for fun on the weekends by yourself and maybe with a couple friends? 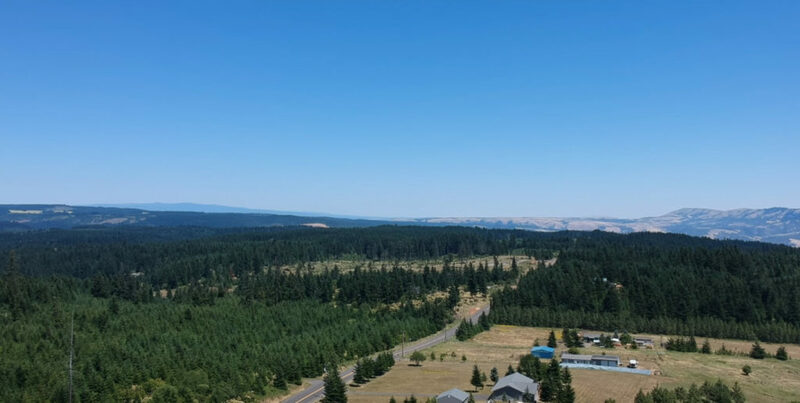 What do you want to do with your drone?” If you want to use it professionally there are other drones that I recommend that are in a higher cost bracket. If you want to play around and have some fun you could always grab a DJI Spark: this is only shooting 1080p, however it is very portable. This only has a two axis gimbal and the Mavic Air has a 3 axis gimbal in 4k and it weighs 430 grams (0,94 lbs) which is over the registration limit for the FAA so you’re gonna have to the FAA website and fill out your registration and put your number on this aircraft. When we talk about the Mavic Air the Mavic Air is pretty much the everybody’s drone and that’s what we’re gonna call this one. Of course not under the legal age to fly, but anybody that’s the legal age to fly can get this one and have a lot of fun with it. Now there are some major differences between this one and something like the next level up like the Mavic Pro. The Mavic Pro is running Ocusync which is a very, very fast and robust system out to that four mile mark. Other people have gone further but there’s a big difference between the Air and the Pro version: they both shoot 4k but the Mavic Air is on Wi-Fi and that one is running on Ocusync . Which results in a much faster frame rate to your device for the Mavic Pro while the Mavic Air does appear to have a little bit of lag. Read the Detailed DJI Mavic Pro Review Here! Now if in a perfect world if I could get an Ocusync on the smaller one (and maybe they’ll do that with version 2 of this) that would be amazing because you wouldn’t have hardly any lag on your image display for your video coming back to your device. That’s a big deal when you’re out there and you’re shooting in sport mode and you’re trying to fly like 2 feet off the ground or maybe you’re doing a low water shot or something like that as you want to be very careful flying in sport mode at 30 miles an hour it does tend lag quite a bit. You could hit something and see a second later. So one very important thing to think about with the Ocusync on the Mavic Pro as you’re really not going to have too much of that problem but what you can do on your Mavic Air is you can go into the device and you can turn down your image quality setting inside the app to make the frames up here a little faster so if you’re really trying to get that awesome sport mode shot and you’re flying in between some of things that are really tight and fast that’s what you really need to do: you need to break down your image quality. You will suffer a little bit worst looking picture but you’re gonna see a much more real-time view. Now if you’re asking me personally “which one would I buy?” (that’s always the question that I get on the internet and in person when people meet me), “which DJI drone would I travel with?”, “which one would I use locally?”. In various situations depending on what I’m going to do. If I’m gonna shoot something close in to town and don’t have to go far my first choice is the Phantom 4 Pro. Read the Detailed DJI Phantom 4 Review Here! The Phantom 4 Pro’s video is absolutely amazing it’s probably the best consumer-grade DJI drone the DJ’s made to up to this date. Coming in second for portability would be the Mavic Pro. And if I was going to take a trip down to Fiji or Tahiti or somewhere or out to Bermuda I would take something like the Mavic Air mainly because I can just about fit this in my backpack and walk on the plane no big deal and I’m not going to get harassed through security as it’s super lightweight device. One of the most attractive things about the Mavic Air is the size and portability. I mean this thing fits in the palm of my hand, it is super small – almost smaller of a format than the DJI Spark and a lot smaller than the DJI Mavic Pro. 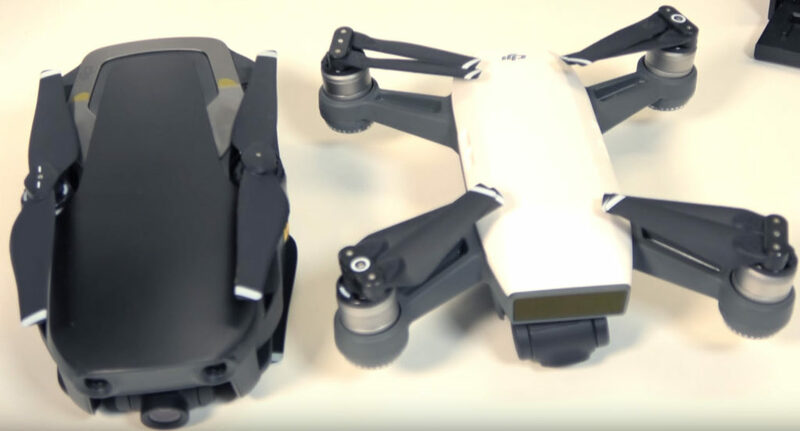 The Pro is actually quite a bit heavier: it’s weighing at 1.62 pounds and that’s actually kind of pretty heavy in the drone market especially when it comes to race quads. But the Mavic Air is weighing in 0.94 lbs, is shooting 4k on a 3 axis gimbal which is one of the smallest format drones in the world right now shooting 4k. But if it was me and I was going to put down my hard-earned money down I would put them onto the DJI Mavic Pro Fly More Combo mainly because when I go out on a trip one battery is never enough. I always have to have multiple batteries with me and the nicest thing about the fly more combo is it does come with this multi charger so I can charge up to like four different batteries at the same time which is really great. You also get this little sort of USB style single battery charger so technically you can have five batteries charging out in the field if you decide to get a couple more if you have room inside a bag for a couple more batteries. The DJI Spark and the Mavic Air – this is quite a difference here. This is all about getting this in your personal belongings when you’re gonna travel with this one if you’re gonna pack it in your own bag instead of taking along the DJI bag (what I really like about the DJI case is the fact that this bag doesn’t actually look like something you would have a drone in; it looks like some kind of regular shoulder bag maybe more like a camera bag so I feel really comfortable carrying that around as people aren’t staring at me because I have a million). Read the Detailed DJI Spark Review Here! Another thing that you have to realize about the DJI engineers – they are some of the best engineers in the world and yes I’m gonna go ahead and say it as they are dominating the market over 60% of the drone share in the United States right now – they’re absolutely killing it but I can’t figure out for the life of me why they didn’t do folding props on the Mavic Air. Maybe they’re more efficient because these might have a little more loose play in them during operation (that might be why they chose to do that) or maybe it flies a little better. I’m sure that they did a flight test on both style props and I know that out there on the internet you can get some folding props for this particular aircraft but I would probably stick to the stock setup and fly it the way that it comes out of the box because there’s a reason that they put this solid prop on there and not a folding prop. And also if you’re really concerned with weight and you want to take the lightest possible drone on your trip with you the Spark still wins because the Spark is only 0,66 lbs (300 grams) total takeoff weight compared to 0,94 lbs (430) grams of the Air model but it’s still over that FAA registration points so you would still have to a registration of your drone to avoid any drone policy issues. The Mavic’s Air weight I can accept that for a travel trip, it’s not a whole lot of weight difference for the extra added bonus that you get with all the object avoidance front and rear on this one. The DJI Spark has a pretty decent sensor in there and the two axis gimbal is not that big of a deal if you’re not concerned with shooting super-high resolution 4k and you’re making your video only for home use to show off your friends or famile. And also if you do get 4k keep that in mind you’re gonna have to have a machine that will edit 4k though most laptops and PCs these days can handle it. The Spark is actually pretty decently priced so it’s it’s a good beginner drone you could start out with something like this and move up to the Mavic Air later. So now let’s move on to the granddaddy of them all – the Phantom 4 Pro. This is the newer version of the DJI Phantom 4 drone. I love this one it is that black sort of obsidian colored frame. A lot of people are scared of the darker color because they’re afraid that the components inside are going to overheat but in my experiences so far (I’ve been flying the Phantom Pro for almost a year now) I haven’t had any issues with this one at all. And even longer than that one I’ve been flying the Mavic Pro so both of these have a pretty dark frame on them. I’ve had them out in some days where it was 85 degrees out I won’t fly much hotter than that if you’re gonna fly somewhere where it’s over 100 degrees it’s never a good idea because the video transmitters, that transmitted inside these drones, they get super-hot and the first thing to go out on your quad is probably going to be your video so you don’t want that to happen. That would be a huge failure because then you’re gonna be flying blind and you’re going to have to try to return to home and hope it comes back and wait and listen for it coming back. But again the Mavic Air has the huge advantage over the Phantom 4 Pro. If I was going to go on a trip I would take the Mavic Air because the Phantom 4 Pro weighs 3,06 pounds (1 388 grams). That’s a lot of weight for that particular drone and it has a much louder report in the air when it’s flying. A lot of people – if you’re on a crowded beach somewhere and you put this thing up – everyone’s like “oh look at the guy with the drone!”. 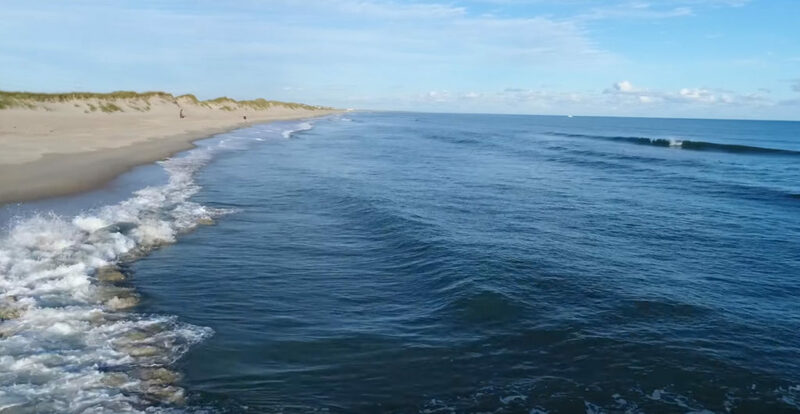 I’ve been other places with the Mavic Air and I flew this one and it’s so inconspicuous once you get off the beach you’re flying from people and they really don’t hear it and they’re not annoyed by it. It’s not sort of disturbing the fun that they’re having on the beach, so it’s a much smaller report in the air and a lot quieter. But if I was gonna do some professional work and I knew I had to do a wedding or had to do some kind of movie shoot or something like that I needed the best image quality possible I would always hands-down pick the Phantom 4 Pro over top of the Mavic Air. The Mavic Air, like I said before, is just pretty much a fun I would almost call it fun super drone: it is shooting beautiful standard 4k and 30 frames per second but the one-inch sensor the mechanical shutter at the Phantom 4 Pro is just absolutely a superior killer-camera. So if you’re looking to get a drone that going to be for a professional user and not worried about size I always go for the P 4 Pro. But if you are that guy who wants to spend under $800 for 4k video and a 3-axis gimbal and something that you can pretty much take anywhere the Mavic Air is like the obvious choice here. Now back again to the Mavic Air versus the Spark. You can go ahead and spend that three or four hundred extra dollars or if you can spend an extra seven hundred dollars on the fly more combo is quite a bit more than a Spark ($299) but with the Spark you’re going to buy a lot of accessories for it. You’re gonna buy a bunch of extra battery so you’re going to end up over five hundred dollars. So choosing between the Mavic Air and the Spark I’d definitely would pick the first one. You’re going to just go ahead and go for a couple more batteries with the Mavic Air or the fly more combo it’s going to be a much better value in the long run and you’re gonna have what everybody wants which is 4k video and a 3-axis gimbal which is going to make some super stabilized video. The final thing to discuss is “What is better: the Mavic Air or the Pro?”. If you have enough extra hundred dollars to spend and you want to get the Mavic Pro because it has Ocusync that might be the way to go and that’s totally up to you but when it comes to the video between the Mavic Air and the Mavic Pro it’s kind of hard to distinguish which one is which so that’s going to be a decision that you’re gonna have to make. The drone that everyone’s excited about right now is the Mavic Air and that’s telling something. If you’re wondering what type of micro SD card it supports here’s the answer: it does all the way up to 128 gigabytes so you can go from a 16 gigabyte card all the way up to a 128 so that’s pretty nice. It’s a big huge range for media storage you can store a lot of 4k video on 128 gigabytes but it also has internal storage: if you want to record to the drones internal storage I believe it has up to like seven gigabytes and if you don’t put the micro SD card at the very back of it, once you fire up this quad it’s going to ask you if you want to do internal because it sees that the micro sd card is not actually in the drone. So that’s also kind of a step forward for DJI as a little bit of onboard storage for Full 4k video is always a really nice option for any drone out there. Now let’s summarize this big comparison review. I think the biggest thing that I’m missing here with this whole equation is that Ocusync that the Mavic Pro has it’s just one thing I’m going to have to live without. If I was going to go on a trip I can deal with the Wi-Fi as I’m gonna take some safe shots, I’m going to try some more risky shots but I’m also going to turn down the resolution for the transmission coming back to my phone if I want to fly closer into things. So one thing to think about is dialing back your resolution on your device and that’s going to make all the difference in the world if you’re trying to do this tight shots. 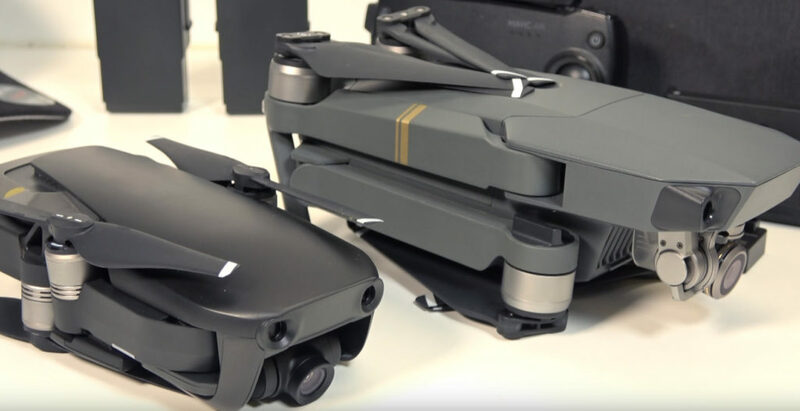 DJI didn’t do folding props on the Mavic Air but they do have front and rear object avoidance and they also have the standard optical flow sensors on the bottom and the infrared sensors which is pretty cool. DJI Phantom 4 Pro is for professional use.